Recent Communications Were Potentially Misleading: Of late, there have been allegations by the American Simmental Association (ASA) that Leachman Cattle of Colorado (LCoC) and/or Verified Beef (VB) are trying to “seek a monopoly on genetic prediction.” ASA also implies that we may be trying to prevent breed associations from developing genetic indexes for seedstock cattle. LCoC and VB would like to assure breed associations that this is simply not true. Our patent does not, in any way, keep a breed association from estimating EPD's or indexes on individual breeding cattle. We do not have monopolistic and/or anti-breed association goals. 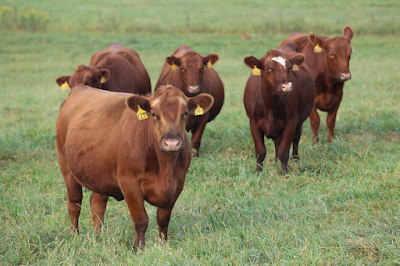 Reputation Feeder Cattle Program Promotes Breed Associations: VB believes that the Reputation Feeder Cattle® (RFC) program and associated processes are pro-breed association. The RFC program provides opportunities for returning premiums to commercial ranchers that use bulls with superior genetics. We believe that the RFC program promotes breed association efforts by using their EPD’s on registered seedstock and incentivizes commercial producers to: 1) buy registered bulls, 2) buy higher quality registered bulls, and 3) have the bull registration papers transferred to their name. All of the above promotes breed associations. Furthermore, VB has actively sought relationships with multiple breed associations. We hope that associations will incorporate RFC into existing or new commercial marketing programs. In this same vein, VB met with ASA in 2013 in efforts to work together to offer RFC to ASA’s commercial bull customers. In summary, the RFC program requires EPDs, promotes innovation, and will be a positive factor for breed associations. Why a Patent? One of the things that makes our country great are strong property rights to such things as land and ideas. Breed associations rightfully view their proprietary databases as valuable property. In like fashion, entrepreneurial businesses often use patents to establish property rights for valuable and innovative ideas. These patents encourage investment and innovation. For these reasons, in 2012, LCoC and VB began investing in and developing a new technology concept that we call the Reputation Feeder Cattle® program. Because we could find no previous example of this technology, we decided to pursue patents to protect the property rights to our ideas. What are the Patents About? 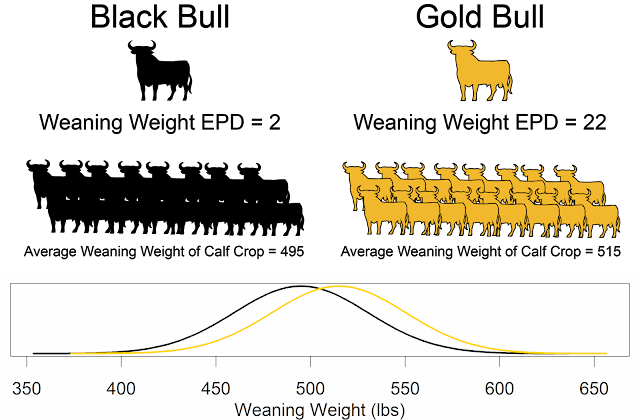 LCoC patented technology that uses association EPDs on a rancher’s historical bull battery through a novel and sophisticated process to predict the genetic merit of a group of commercial calves in comparison to the national average. When applying for the patents, we disclosed to the U.S. Patent Office, among other things, the efforts of breed associations to estimate EPDs that drive feeder value including work on indexes such as the Angus Association’s $Beef index, and the work of Zoetis and AAA on their Gene-Max™ program. Prior to granting the patents, the U.S. Patent Office extensively researched other previous efforts, in addition to these breed association efforts, to see if our ideas were unique. The patents are neither intended nor structured to provide any interference with the existing and further development of EPDs or indexes for seedstock cattle by breed associations. What is the Lawsuit About? In the months prior to filing the lawsuit, LCoC and VB requested numerous times to meet with ASA to discuss these matters, but ASA refused to schedule such a meeting. The current lawsuit against ASA has two major areas of concern: 1) violation of our proprietary property rights as protected by our non-disclosure agreement, and 2) infringement of our patent rights. There is not a single component of the lawsuit which alleges that a breed association cannot continue to make genetic predictions for seedstock. If you are interested, please contact us and we can provide a complete copy of the patents and/or the complaint. Summary: We believe that these issues have been misrepresented in the current dialogue on several levels. We support breed association efforts, and RFC promotes breed associations. The patents actually encourage genetic prediction, the use of indexes, and genetic improvement by associations and their members. The lawsuit does not attempt to restrict ASA from continuing to develop and maintain its EPDs and indexes for registered cattle. Leachman Cattle and Verified Beef are available to discuss further these matters if desired. The complete patent is available on Google. Leachman clarified that they did not attempt to patent selection indexes, but stated, "Rather, we patented the determination of market price of a group of feeder calves." See this post for the ASA's statement.